What more fitting for the reintroduction of an original American electric icon than to bring another Detroit muscle car icon? Can you guess what powertrain the Corvette would sport? In the beginning there were electric cars, if most of us know this, those who savvy enough will also remember the Detroit Electric car company that made electric cars in the past, last century. While the company started in 1907 by the Anderson Electric Car Company in Detroit, Michigan, it ended its life in 1939. Performance wise, they offered quite a lot considering the time, rechargeable lead acid battery and for an additional $600.00, you could get an Edison nickel-iron battery with an impressive mileage back then already reaching into the 80 miles range. One went as far as 211.3 miles but its top speed was only about 20 miles per hour. Nonetheless, let’s remember that roads didn’t allow for faster driving speed in cities at the time. The Rebirth Of The Electric Car. Another of the many positive consequence of the rebirth of the electric car in 2008 is that Detroit Electric was revived for the occasion by former Group CEO of the Lotus Engineering Group and Executive Director of Lotus Cars of England, Albert Lam. Officially “relaunched” on 19 March 2013 in the Fisher Building in Detroit, Michigan, the company announced plans for a limited-edition two-seat sports car and will premiere it to the public on 20 April 2013 at the Shanghai Auto Show. Production should begin August 2013 with an anticipated total capacity 2,500 sports cars annually. Detroit Electric plans to produce more high-performance all-electric vehicles in the coming years. Where’s The Electric Corvette? 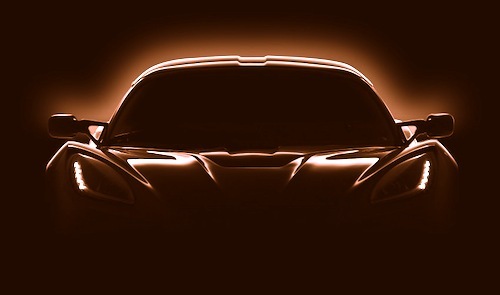 The electric Corvette idea is associated to the fact the company is “teasing” prerelease shots of its first and new electric car that looks identical to a C6 Corvette. In this case, the car looks a C6 but with a redesigned nose. It would also make sense to use the Corvette as an underpinning. While not designed for electricity from the ground up, it is an affordable car that offers good handling capacity, especially with a lowered battery pack in it. All in all, we can only welcome not only the return of an American automobile icon back on the scene but one that strikes a very high note, all-electric high-performance limited edition electric Corvettes from Detroit Electric.